Even in bull markets, there are some companies that struggle to survive. 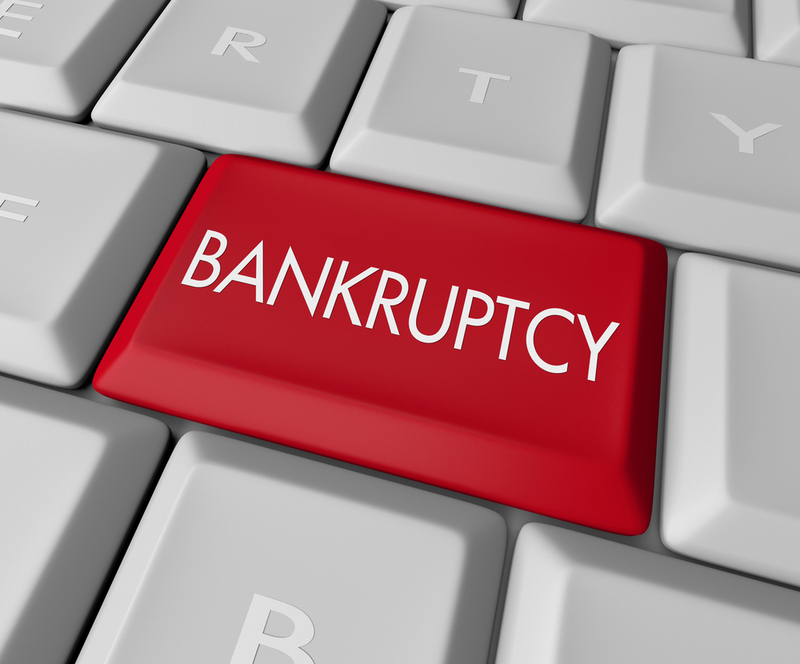 New technologies, new ways of bringing products to market, or changing demographics are just a few reasons why some once strong, even iconic, companies can go bankrupt. But as an investor, you have to know when to cut your losses with stocks that are destined for disaster, and one of the best ways to avoid that disaster is to avoid those stocks in the first place. In this slideshow, we'll review nine stocks that could very easily go bankrupt in 2019 … if they don’t go bankrupt before then. And here’s some news for investors, they’re not all in retail, although that sector is adequately represented. Sears Holdings (NYSE: SHLD) - The saying “death by a thousand cuts” seems to apply to Sears. This iconic brand, say some analysts, could have been Amazon before Amazon. Instead, it’s finding itself on the verge of bankruptcy, and not just because of Amazon. The retailer has faced self-inflicted wounds that is a cause of annual revenues that have fallen every year since 2007. In fact, Sears hasn’t reported a full-year profit since 2011. Same-store sales have fallen every year since 2012. But let's cut to the chase, the real problem with Sears is the same reason they're still in business, their CEO, Eddie Lampert. Through his hedge fund, ESL Investments, Lampert continues to prop up the company, but not out of altruism. If the company declares bankruptcy, his hedge fund which now owns almost 50% of Sears’ secured debt will be at the front of the line to collect. This surely means that the endgame for Sears is being orchestrated more by a creditor than a CEO. How else to explain that it has sold off revenue-bearing units that have cut off any path to profitability. The company is also not being helped by its ongoing feud with its iconic Craftsman brand. Sears also cut their long-standing ties with Whirlpool Corporation which is a significant blow to their home appliance division. None of these moves suggest a company that is looking to recover. Abercrombie & Fitch (NYSE: ANF) - A&F is trying to beat the clock, but reality may be working against them. They reported solid fourth-quarter sales as part of the fourth quarter that saw a robust 5% gain in year-over-year, same-store sales. But is that growth sustainable? Analysts are not convinced, and more importantly, consumers may not be either. The problem for A&F, which also owns the brand name Hollister, is that they are trying to achieve growth while shrinking their retail footprint. As a store that has always relied on teens in malls, the idea that they will have a net loss of about 50 stores nationwide makes it hard to see this as a sustainable strategy. Although a survey suggested that teens and young adults are looking to spend more on consumer goods this holiday season, it's unclear if that will translate to another strong holiday season. If it does, A&F may be able to play for more time, but with a stock that is currently trading at about 30% off highs reached just a couple months ago, there seems to be no real momentum for traders. Ratings Breakdown: 2 Buy Ratings, 6 Hold Ratings, 3 Sell Ratings. GoPro Inc. (NASDAQ: GPRO) - The story of GoPro is somewhat simple. They created a pretty cool product…that doesn’t translate to a mass market. At least not in any meaningful way. The maker of video-action cameras is enduring its third straight year of declining revenue with top-line revenues this year down 38%. However, it has seen its stock rise recently. But what has come up can just as quickly go down, and down may be where the stock is headed if the launch of its new Hero 7 product line does not meet expectations. This is where GoPro has had issues before. So what’s the problem? In a word, smartphones. When potential customers already have devices with the ability to do many of the same things as a GoPro, it’s hard to manufacture the need. Serious video enthusiasts will appreciate the picture quality you can get from a GoPro, and its Hero 7 line will offer live streaming, something that earlier offerings did not. However, the devices will still require a separate iOS or Android companion to live stream, limiting its utility somewhat. The words of a CEO can be telling and GoPro’s CEO Nick Woodman has said the company is open to selling or partnering with another company. So far, there have been no takers. Container Store Group Inc. (NYSE: TCS) - It’s ironic when a business that specializes in providing options for customers to store their excess attempts to shrink its way to success. But that seems to be the plan for the Container Store Group Inc. With layoffs and restructuring plans announced, the company hopes to continue its positive second-quarter earnings report that beat analysts' expectations. However, the company is already facing a strong challenge from less expensive online options and competition from large box stores such as Home Depot (suggesting organization has gone mainstream) and specialty home furnishers such as Bed, Bath & Beyond (hitting the company on its design flank). The company still has 80 operating stores in the United States and did post an increase in sales in their most recent earnings report. However, same-store sales remained weak (down 0.2%). The model for the company is not a sustainable one in a brick-and-mortar environment. After all, once items are stored, the need for the product goes away. The Container Store Group, Inc. engages in the retailing of storage and organization products and solutions in the United States. The company operates in two segments, The Container Store and Elfa. Its retail stores provide various lifestyle products, including closets, collections, and hooks, as well as bath, kitchen, laundry, gift packaging, long-term storage, office, shelving, storage, trash, travel, and elfa branded products. The company also designs, manufactures, and sells component-based shelving and drawer systems that are customizable for any area of the home, such as closets, kitchens, offices, and garages, as well as made-to-measure sliding doors. As of March 31, 2018, it operated 90 stores. The company also offers its products directly to customers through its Website and call center, as well as sells to various retailers and distributors, and on a wholesale basis. The Container Store Group, Inc. was founded in 1978 and is headquartered in Coppell, Texas. Ratings Breakdown: 0 Buy Ratings, 0 Hold Ratings, 1 Sell Ratings. Immunomedics, Inc. (NASDAQ: IMMU) - It’s never a good sign when a company has to “rob from Peter to pay Paul”, but that’s the situation facing Immunomedics. If you don’t look too closely, things might look pretty good. Sales of LeukoScan, their oncology diagnostics product, are robust. And it has another product, Sacituzumab Govitecan, considered its flagship product in Phase 2 trials. The company is also pushing forward with a product currently in Phase 3 testing called Epratuzumab. All of this sounds great until you look at how the company is funding its future projects. They have already announced plans to sell the rights its LeukoScan franchise because they need cash to fund the other projects in their pipeline. They have also sold the royalty rights to Sacituzumab Govitecan to Royalty Pharma. All of this is signaling what the company already knows, they are burning cash, and are headed for bankruptcy or some sort of partnership. Immunomedics, Inc., a clinical-stage biopharmaceutical company, develops monoclonal antibody-based products for the targeted treatment of cancer. Its advanced antibody-drug conjugates are sacituzumab govitecan and labetuzumab govitecan, which are in advanced trials for various solid tumors and metastatic colorectal cancer, respectively. The company focuses on commercializing sacituzumab govitecan as a third-line therapy for patients with metastatic triple-negative breast cancer in the United States. The company also develops IMMU-140, a humanized antibody directed against an immune response target. Its other product candidates include products for the treatment of cancer and autoimmune diseases, including epratuzumab, an anti-CD22 antibody; veltuzumab, an anti-CD20 antibody; milatuzumab, an anti-CD74 antibody; and IMMU-114, a humanized anti-HLA-DR antibody. Immunomedics, Inc. has clinical collaboration with AstraZeneca and MedImmune, to evaluate Imfinzi, a human monoclonal antibody against PD-L1, with sacituzumab govitecan as a frontline treatment of patients with TNBC and urothelial cancer; collaboration agreement with The Bayer Group for the development of epratuzumab; clinical and preclinical collaborations with academic cancer institutions, identifying new cancer indications for sacituzumab govitecan and the biology of the Trop-2 antigen; and research collaboration with the Memorial Sloan Kettering Cancer Center to investigate Sacituzumab Govitecan and Labetuzumab Govitecan in preclinical cancer models. Immunomedics, Inc. has a partnership agreement with the Samsung BioLogics Co., Ltd. to manufacture hRS7, an Immunomedics proprietary humanized antibody. The company was founded in 1982 and is headquartered in Morris Plains, New Jersey. Ratings Breakdown: 9 Buy Ratings, 1 Hold Ratings, 0 Sell Ratings. FitBit Inc. (NYSE: FIT) - Along the lines of GoPro, FitBit created a product with technology that was, in some cases, already available, too easy to copy in other cases. Either way, the product was not as marketable as once thought, and it didn’t help matters that Apple’s iWatch became far more marketable than the company thought. Largely because while Apple was not first to market, they quickly became the recognized name. FitBit’s brand name should carry on well into 2019, but analysts don’t foresee the market for FitBit’s consumer electronics hardware wearables to increase and the company doesn’t have any plans to expand on its product line which leaves the only other path to growth a drastic cutting of expenses that would bring the company more in line with its anticipated size. The company reported a 15% decline in second-quarter sales and a negative free cash flow of $83 million. To make matters worse, the company is forecasting a 3% year-over-year revenue decline for Q3 with a negative free cash flow of $30 million and net income per share within a range of -$0.02 and $0.01. Ratings Breakdown: 2 Buy Ratings, 5 Hold Ratings, 2 Sell Ratings. Sturm Ruger & Company Inc. (NYSE: RGR) - Simply put, the firearm industry is under fire. Remington has already filed for bankruptcy and sales for Smith & Wesson parent company, American Outdoor Brands Corp. are in decline. What this means for Sturm Ruger is unclear. The company had an anti-gun activist speak at one of their shareholder events. And the company is publicly supporting measures initiated by their shareholders to monitor violent events in which their product are used, demonstrate that they are attempting to manufacture safer firearms (there is some talk of “smart guns”) and finally to provide shareholders with a risk assessment based on U.S. gun violence. The stock was undervalued early in the year and has surged, but the industry faces headwinds, including stricter gun laws that are almost inevitable. A catalyst of the Remington bankruptcy was having their products attached to the weapons used in the Sandy Hook violence. That presents an existential risk to Sturm Ruger. Sturm, Ruger & Company, Inc. designs, manufactures, and sells firearms under the Ruger name and trademark in the United States. It operates in two segments, Firearms and Castings. It offers single-shot, autoloading, bolt-action, and sporting rifles; rimfire and centerfire autoloading pistols; single-action and double-action revolvers; and firearms accessories and replacement parts. The company also manufactures and sells steel investment castings and metal injection molding (MIM) parts. It sells its firearm products through independent wholesale distributors principally to the commercial sporting market; and castings and MIM parts directly or through manufacturers' representatives. The company also exports its firearm products through a network of commercial distributors and directly to foreign customers comprising primarily of law enforcement agencies and foreign governments. Sturm, Ruger & Company, Inc. was founded in 1949 and is headquartered in Southport, Connecticut. Barnes & Nobles (NYSE: BKS) - It’s not that people aren’t reading books. They’re just not as keen on buying them anymore. And when your business model is based on selling real books in a brick-and-mortar environment, things can look rather bleak. That is the situation confronting Barnes & Nobles. Whereas the company once was a bookseller, they now tend to play the role of a hangout space where students can meet to do homework and have coffee. As evidence that the math is not working out, in the second quarter of 2018, the bookstore chainsaw overall sales dip by nearly 8%. Year-over-year, their loss increased from $20.4 million to $30.1 million. Simply put, they are burning cash at an unsustainable base and there is no real path to profitability. The digital book space is already saturated. And although Barnes & Nobles has no business that threatens its market share, if the company can’t turn a profit during a bull market, what are its prospects should the economy experience a downturn. The stock is trading around $6.50 per share which is up from its 52-week low, but the bounce is largely due to speculation that the company is open to takeover offers. Ratings Breakdown: 2 Buy Ratings, 0 Hold Ratings, 0 Sell Ratings. Office Depot (NYSE: ODP) - It’s easy to look at Office Depot as just another casualty of Amazon. After all, the e-commerce giant put the entire industry on notice when it started to sell office supplies online in 2012. But the truth is while we may love The Office, we live in a world where we don’t need to actually look at many of the products that Office Depot sells, including paper. So there is little need to have the stores. And without the stores, their business model becomes a commodity based on price and convenience. Only 1,400 Office Depot and sister stores exist down from 2,600 just five years ago. The stock has recently received a little bump from surprisingly positive second-quarter earnings led by increased sales in its service segment (i.e. the industry’s push to become your home office). This may have some legs if the trend towards a more mobile workforce continues, but without the core business of selling office supplies, this is a model that seems hard to sustain. If you think back to when you were a child, you can probably think of many brands that are no longer around. Technology continues to change the landscape of how we purchase things which is a particular challenge in the retail community, but it also has an opposite effect with other manufacturers who find that even some really innovative products can be easily copied or have limited application on a mass scale. And in some cases, companies have their moment in the sun but realize far too late when that fleeting moment has passed. Take our guidance for what it's worth and use your own analysis to form a final opinion. But these companies, for different reasons, will face pressure to remain out of bankruptcy in 2019.